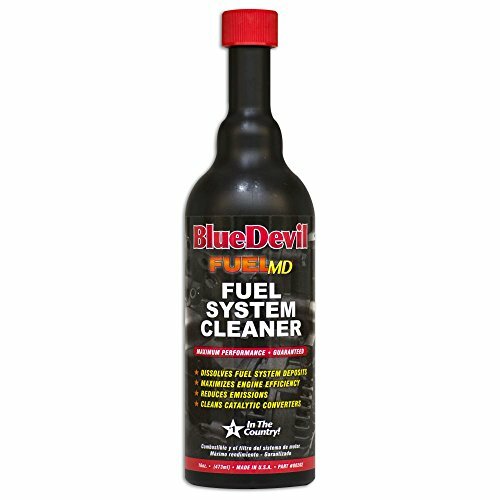 BlueDevil Fuel System Cleaner will remove fuel deposits while increasing vehicle performance. FUEL MD improves gas mileage, fuel efficiency, vehicle start up, and will restore a consistent engine idle while lowering fuel octane requirements. If you have any questions about this product by Blue Devil, contact us by completing and submitting the form below. If you are looking for a specif part number, please include it with your message.